MHP's L-Carnitine is a potently closed, bioavailable L-Carnitine Tartrate supplement with 500 mg in every capsule. L-Carnitine is an important fat burning protein used by the body to transport fat into your muscles where they are burned for fuel. 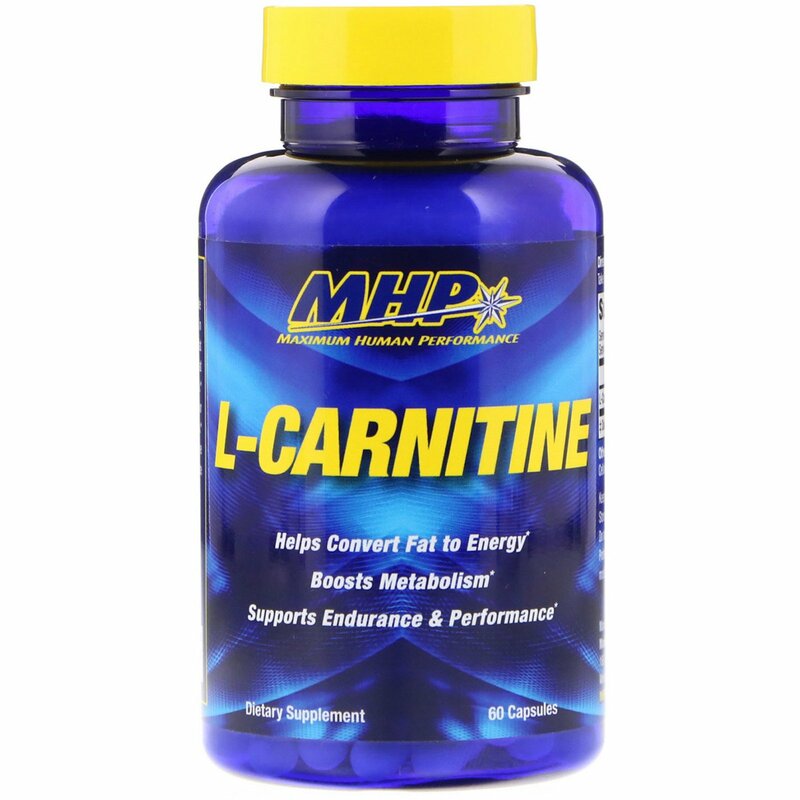 L-Carnitine supplementation can help boost your endurance, energy and fat burning metabolism. 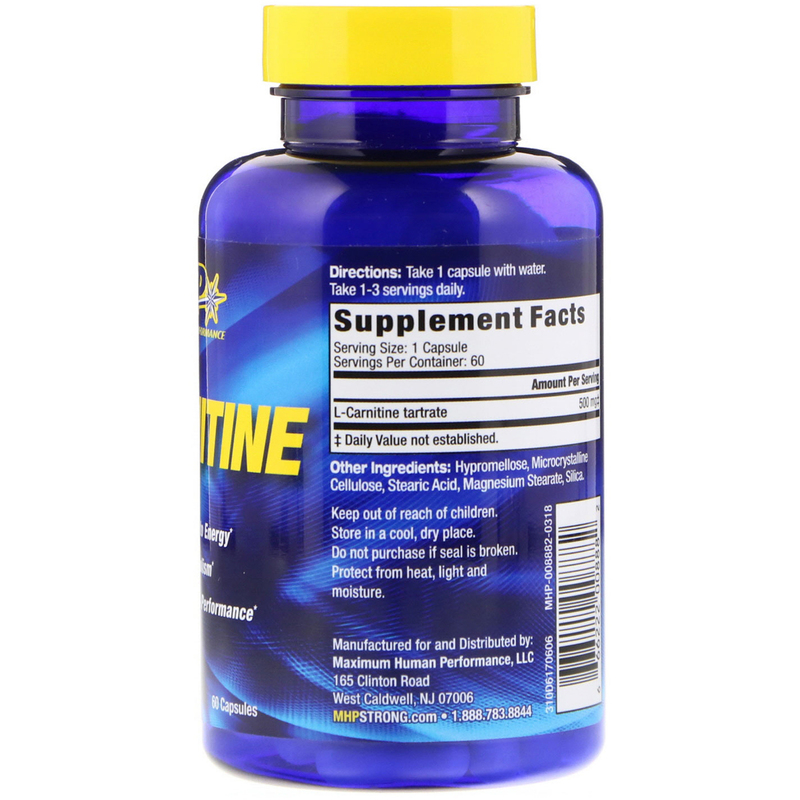 L-Carnitine is the ideal supplement for exercise enthusiast, including weight lifters or endurance athletes. Keep out of the reach of children. Store in a cool, dry place. Do not purchase if seal is broken. Protect from heat, light and moisture.